Notice that I didn’t ask, “Why did you hit my arm?” That wouldn’t even occur to me. If that person was to say, “I didn’t hit you, I just hit your arm,” I would think that person was crazy. My arm is a part of me. When someone hurts a part of my body, they are hurting me. I know that instinctually. I could never think of it in any other way. My arms and my legs form part of the same body. It’s the same with you and me. We are parts of the same body as well: the Body of Christ. Whatever affects one of us, affects all of us. When one of us hurts, all of us hurt. This is the truth we’re telling today. Today marks the fourth in our five-week Lenten series on the sacrament of the Eucharist. On the first week, we talked about what it means when we say that the Eucharist is a “symbol.” On the second week, we reflected on the Eucharist as a remembrance of past events. Last week and this week, we’re talking about the Eucharist as a present reality. Next week, we’ll wrap it up by talking about the Eucharist as an anticipation of the future. For now, we’re talking about the Eucharist as a present reality. Last week, we looked at the vertical aspect of that reality: the Eucharist as spiritual nourishment. Today, we’re looking at the horizontal aspect of that reality: the Eucharist as Communion. As we partake of the one bread and the one cup, we are being reminded that we are members of one body: the Body of Christ. I’d like to tell you the story of a church I heard about a while back. This church was located in a large, wealthy, cosmopolitan city. They were a pretty successful church, by most accounts. They were young, having been planted in the last generation or so, but had been around long enough that their founding pastor had moved on and they had recently called a new pastor. This new pastor was also young, charismatic, and highly skilled at his job. He was known far and wide as an excellent preacher and folks just loved to listen to his sermons. The church had experienced a period of intense growth, numerically speaking. They now had some prominent, wealthy givers in the congregation. Spiritually speaking, this church was a place where many people had experienced the power of God touching their lives in a deep, personal, and meaningful way. Sounds pretty good, right? But all was not well. This church had everything going for it, but it was extremely dysfunctional beneath the surface. Internally, they were all split up into factions over silly stuff. For example, some folks liked the new pastor, some liked the old one better, and others were getting all excited about this other pastor they had heard about from friends out-of-town. There were differences in theology and worship-styles that were tearing the church apart. In order to appease the wealthy new members, they intentionally started holding services at a time when they knew it would be more difficult for some of the poorer church members to get off work. When they did manage to get there, the church was arranged so that the wealthiest members had a special VIP section where they were allowed to sit and worship, while the lower-income members who were coming straight from work had to sit in the back and only got to eat leftovers from the church’s potluck supper. To make matters worse, there was a family in the church that was caught up in a pretty serious crisis, but the pastor and the elders were so caught up in dealing with the quarreling factions that this family’s problems were being ignored and they weren’t getting the kind of pastoral care they needed. That’s pretty messed up, right? Things got so bad at this church that they had to call in an outside consultant to help them fix these problems. As it turns out, that consultant turned out to be none other than their former pastor, the one who first started this congregation and knew them all very well. Given the deep trust and relationship that they already had with him, this pastor decided not to mince words and cut straight to the heart of the matter: he showed them that their problem was not with their location, their demographic, their pastor, or the depth of their spiritual experience. No, their problem was in the way they treated each other. No matter how many other signs of success they might possess, a church just isn’t church unless its members love each other as if they were parts of the same body. That’s what a Christian church is: the Body of Christ. Any congregation that doesn’t live that truth as its raison d’etre is not really a church in the eyes of God. Those are some harsh words, eh? Well, it’s time for me to pull back the curtain and reveal this church’s name. It’s not a congregation from our area, our denomination, or even our era of history (although it could easily be all three). The church I’ve been describing is the church in Corinth that St. Paul wrote to in the middle of the first century CE. Paul was that founding pastor who was called in to help fix this mess the Corinthian Christians had got themselves into. In today’s New Testament reading, we get a snippet of Pastor Paul’s first round of advice to the Corinthians. He’s offering them some constructive criticism about the way they celebrate the sacrament of the Eucharist. His words are harsh: he tells them that their Communion services do more harm than good. 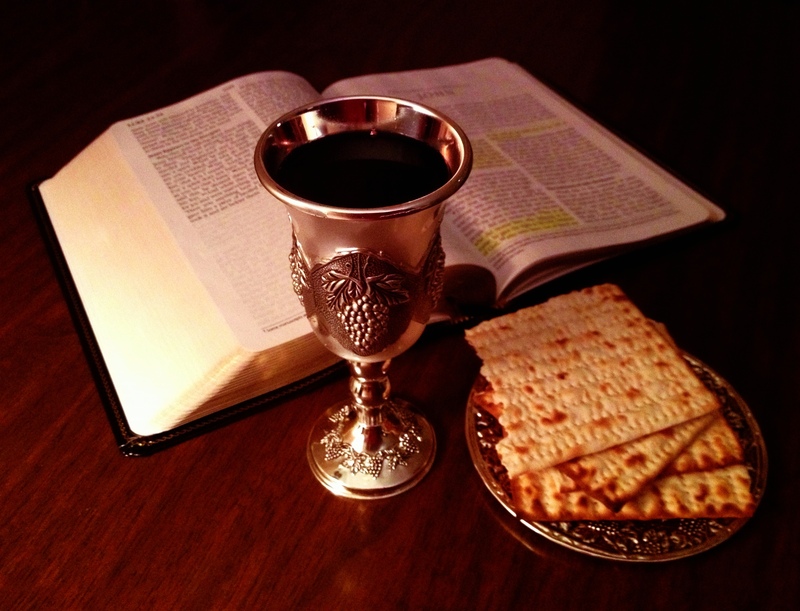 In fact, it doesn’t even really count as the Lord’s Supper because they are eating the bread and drinking the cup of the Lord in an “unworthy manner”. What does that mean? It’s not a problem with the ritual they use, nor is Paul upset over their theological interpretation of what is happening to the bread and wine in said ritual. No, Paul’s problem has to do with the way they treat each other as they partake of the Body and Blood of Christ. In other words, their dysfunctional relationships are what render the sacrament invalid, not their rituals or their theology. As I mentioned above, the Corinthian Christians were doing church in a way that made it difficult for the poorer members of the community to participate in worship. Their celebration of the Eucharist took place as part of a full meal where people were divided according to social class and status. The wealthy members would eat together in one room and get the choicest food, while the poorest Christians would get whatever was left over. Their feast was reinforcing the kind of social barriers that Christ had worked so hard to break down. In Paul’s eyes, this exclusive practice was a slap in the face to the gospel itself. Any Communion service celebrated in such a way could never be a true sharing in the Body and the Blood of Christ. Pastor Paul’s advice to this wayward congregation is simple: “Discern the body.” For him, that does not mean “look within yourself” to decide whether or not you are morally worthy of receiving the sacrament. Likewise, “discerning the body” does not mean looking at the elements of bread and wine, as if something magical were about to happen to them. For Paul, “discerning the body” means looking around, at the other faces in the room, the people coming to Communion with you. These are your brothers and sisters in Christ. We are members of one body: the Body of Christ. Our sharing of the one bread and the one cup reflects that reality. Likewise, our celebration of this unifying sacrament should change the way we relate to one another, outside church as well as inside. The Eucharist bestows upon us a serious commitment and responsibility: each of us is our brother’s (and sister’s) keeper. This sacrament should remind us that we are all vitally connected to one another and are therefore responsible for each other’s well-being. When we realize this truth and embody it in our lives, we begin to look like the kind of church that Paul (and Jesus) had in mind. I saw a headline in the news this week that reminded me of this truth. A certain faith-based international relief organization called World Vision made a change in its hiring policy that made many of its donors uncomfortable. They announced that, for the purposes of hiring and bestowing spousal benefits upon employees, World Vision would recognize legal marriages between two people of the same gender. There was a fierce and sudden outcry among several prominent conservative Christian leaders in this country. Many of World Vision’s donors immediately pulled their financial support from the organization. These donors, of course, have a right to not support a charitable organization whose practices do not line up with their conscience and personal beliefs. However, there is another element to this story. World Vision’s primary support is built on a sponsorship model, meaning that individual donors make a commitment to sponsor a particular child in a third world country for about $40 a month. Their money goes to feed, clothe, educate, and give health care to that child. Over time, a relationship develops between these kids and theirs sponsors as letters are written back and forth. A deep sense of spiritual connection is nurtured across the barriers of culture, distance, and poverty. This is the kind of Communion that Paul was hoping to see in the Corinthian church. But last week at World Vision, when these outraged Christians raised a voice of protest against a policy change they disagreed with, they didn’t write letters or try to negotiate with the board of directors. Instead, they went straight for the jugular by cancelling their sponsorship of particular children. They cut off the support that makes the difference between life and death for some of these children. According to World Vision’s director, the number of canceled sponsorships was “less than 5,000” (but I presume that to mean it was more than 4,000). These angry Christians decided that keeping married gay and lesbian people out of their “personal bubble” was more important than the lives of these particular children, with whom they had a relationship and to whom they had made a personal commitment. They used the lives of these children as leverage for their personal agenda. I believe Pastor Paul would have some choice words for the Christians who did this: “They have failed to discern the Body of Christ.” They have forgotten what is most important, what Communion is all about, and what it means to be the Body of Christ. Just as Paul said to the Corinthian Christians, he would say again: “Being a Christian is not about having an airtight theology, a superior spiritual experience, or ensuring that one’s faction emerges victorious in whatever conflict happens to be engulfing the church at the moment. The mark of an authentic Christian faith is in the way we care for one another. Do we treat each other like members of one body? Do we love one another as Christ loves us?” In their opposition to marriage between people of the same gender, these angry Christians (the ones who pulled their sponsorship of World Vision kids) have lost touch with the deeper Communion that connects us to one another and makes us morally responsible for one another as members of the Body of Christ. And it is children who are now paying the price for that forgetting with their lives. The Eucharist reminds us of this forgotten truth. When our own personal agendas and prejudices threaten to divide us into tribes of culture warriors in the perennial battle of Us vs. Them, the Eucharist has the power (if we let it) to bring us back into Communion with one another, where our eyes, minds, and hearts can be re-opened to the truth that binds us together at the deepest level: we are members of one body—the Body of Christ. When we realize that truth and embrace it with our whole being, then we the Church will truly begin to act like the Body of Christ on earth and we will more faithfully fulfill our Christian calling.